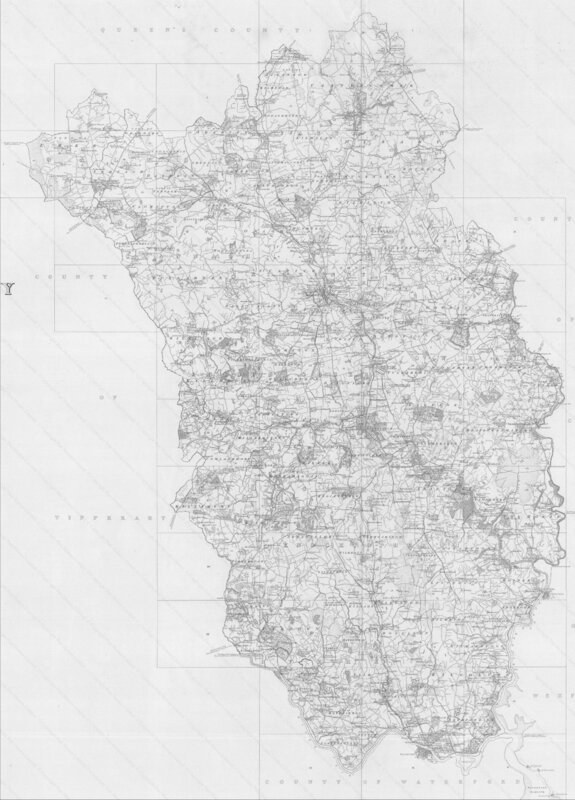 Map of Carlow County dated 12 October 1840. Map of Queens County c1840. 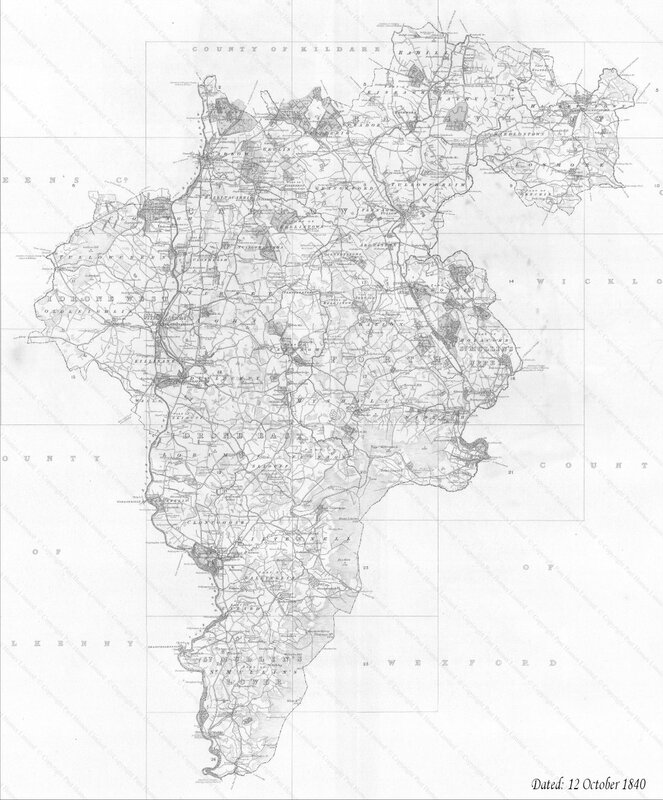 Map of Wexford County c1841. 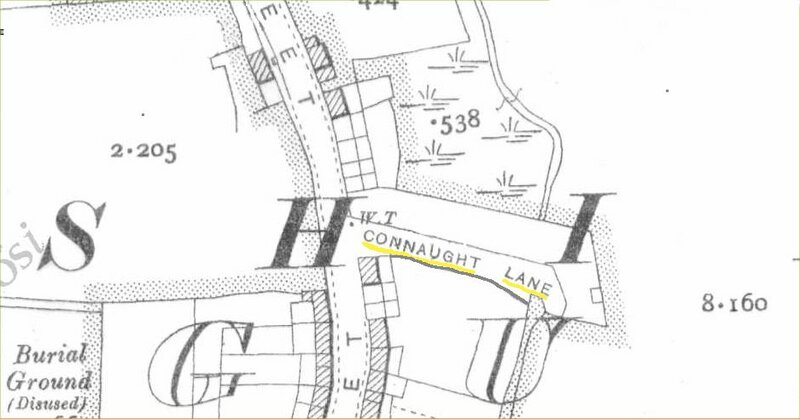 Map of County Kilkenny dated c1842. 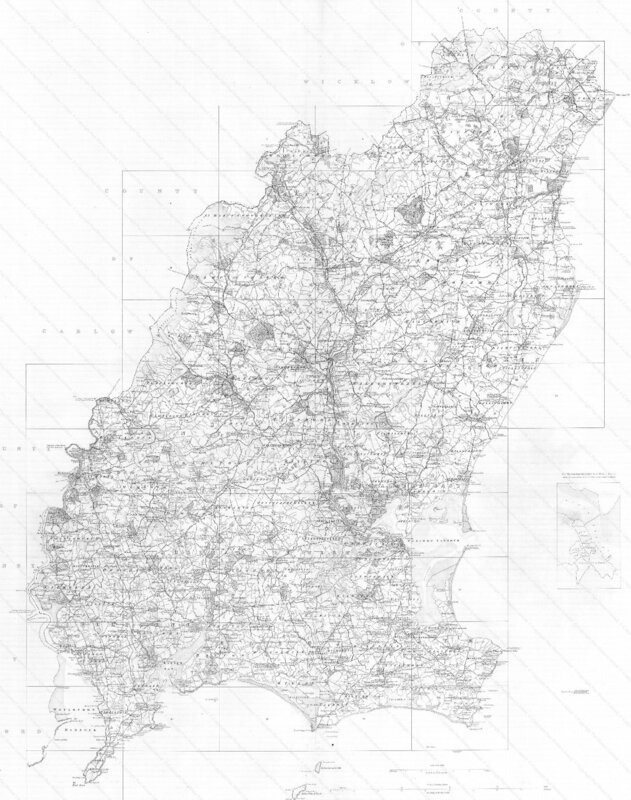 Past Homes have the entire Ordnance Survey First Edition 6 Inch Townland Maps as map sheets on CD Rom, as hard copy printed A1 sheets, and as site-centred, gallery-quality A3 (approximately 16 by 11 inches) prints of any specific location in Ireland. These stunning, full colour, highly detailed maps make an ideal gift for any history enthusiast. 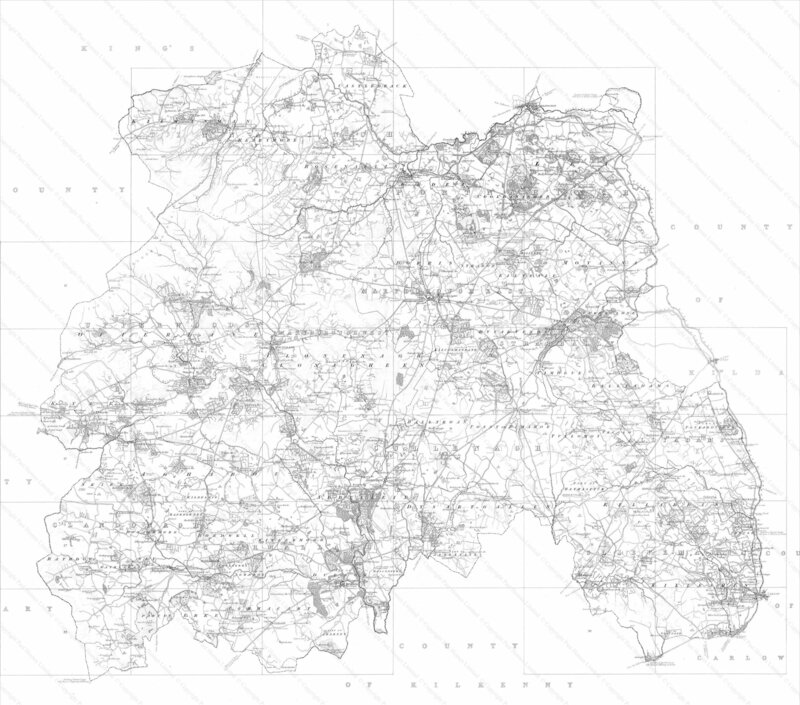 The Townland Map sheets were surveyed at a scale of six inches to the mile and as a result are so detailed that they even show individual buildings.